Mesothelioma immunotherapy and improved mesothelioma surgery techniques have increased survival times for some mesothelioma patients, but this asbestos-caused cancer is still a formidable foe. Mesothelioma can be hard to detect and diagnose, so many people don’t find out they have it until their cancer has progressed to an advanced stage. When a mesothelioma patient passes away, the family has a right to file a wrongful death lawsuit. 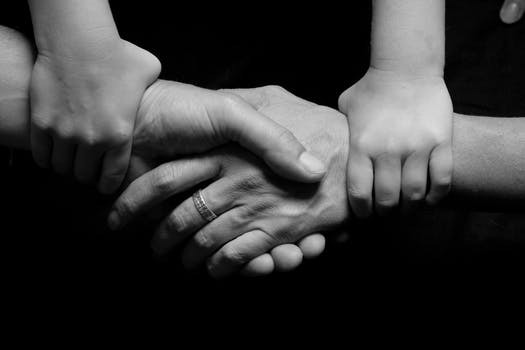 Mesothelioma families – the families of people diagnosed with mesothelioma – bear a heavy burden. They sometimes have to leave their jobs to care for their loved ones. The family budget is drained by the costs of mesothelioma treatments and lost wages. Worst of all, spouses, children, and other loved ones of mesothelioma patients lose a vital member of their family far too soon. If you have lost someone to mesothelioma, you may have the right to file a wrongful death lawsuit against the companies that negligently and wrongfully exposed your family member to asbestos. Although corporations knew for years that asbestos was toxic, they continued to expose their customers and the public to this life-threatening mineral. When asbestos-contaminated dust becomes airborne, it can cause diseases including asbestosis, lung cancer, and mesothelioma. Mesothelioma is a rare cancer of the lining around the lungs or other organs that is caused by asbestos exposure. When a member of your family is diagnosed with mesothelioma because of exposure to asbestos, that person has the right to file a lawsuit against the companies responsible. Sometimes, however, there may be no time to find a lawyer and the time to file a lawsuit is just not there. If mesothelioma patients have only months to live, they may choose to spend what little energy they have left to spend time with family and close friends. That doesn’t mean that powerful corporations shouldn’t be held to account for failing to protect their customers and the public. It doesn’t mean that your family should pay the ultimate price so that a big company could have a bit more profit. You can file a wrongful death lawsuit for the loss of your family member. When someone has been injured, they can file a claim and seek compensation for their injuries. Mesothelioma lawsuits filed by patients fall into this category. If the patient dies because of those injuries, they are no longer able to file a lawsuit. Close family members can make a claim on behalf of the deceased person. This is a wrongful death lawsuit. Originally, once a person died, their claim to compensation died with them. This meant that, for defendants who caused the harm, it was cheaper if their products killed people because it saved them from paying out years of expensive medical bills. The government realized that this created a backwards incentive, so they developed the legal concept of wrongful death. Only close family members who have experienced direct harm can file a wrongful death lawsuit. Harm can include loss of income from the mesothelioma patient, medical bills, and loss of the company of a spouse or parent. If your loved one passed away, you may pursue the claim and receive compensation. Wrongful death lawsuits can be filed by legal heirs which can include spouses, children (including adopted children and stepchildren), parents, grandparents, or siblings. In addition, anyone who depended on the mesothelioma patient for at least half their financial support can file a wrongful death lawsuit under California law (laws on dependents are different in different states). How Do Mesothelioma Families File a Wrongful Death Lawsuit? After someone close to you passes away, your grieving and healing process begins. For some families, part of that healing process is to seek payment from those responsible for their family’s tragedy. Mesothelioma Circle recently profiled the Bankheads, a mesothelioma family that worked with Kazan Law to file a wrongful death lawsuit after their father and husband was plucked from a peaceful retirement into the nightmare of mesothelioma and early death. The first step in a wrongful death lawsuit is to find an experienced mesothelioma attorney. Choose a firm with a history of winning compensation for mesothelioma families. Caring for a mesothelioma patient may have strained your bank account, but a reputable asbestos law firm won’t charge you any fees up front, so don’t let financial concerns prevent you from filing a mesothelioma wrongful death lawsuit. Firms like Kazan Law are paid only if they succeed in getting you compensation for your wrongful death claim. The next step is an investigation. Kazan Law employs a team of seasoned asbestos investigators. Because of our more than 40 years of mesothelioma lawsuits, we have extensive data on the corporations that negligently or intentionally exposed workers to asbestos from the past century to the present. Once the investigation determines where and when your loved one was exposed to asbestos, your law firm is ready to help you prosecute a wrongful death lawsuit. A lawsuit is not a quick or easy process. Your lawyer will work to build a strong case during the discovery process, where the parties exchange information. The defense may pressure you to settle quickly. Your lawyer can help you determine whether a settlement offer is fair and push for more compensation. About 95 percent of asbestos claims end in settlements rather than trial. Kazan Law has negotiated multimillion dollar settlements and has won top jury verdicts for its clients. Because mesothelioma is one of the rare cancers where the cause is known, it’s possible, in many cases, to trace the origin of this deadly disease and hold the guilty parties liable for their negligence and intentional misconduct. In the wake of the death of someone you cared about, you may need to take some time off from work to heal your wounds. Financial stress piles on top of grief, creating a downward spiral of greater distress. A wrongful death lawsuit won’t bring back the person you loved, but it can give you the financial support to take the time you need to put your life back together. The funds from a wrongful death lawsuit can give you time to heal without worrying about how you’re going to pay the mortgage or keep the lights on. Wrongful death lawsuits are important, not just because they help mesothelioma families pick up the pieces of their lives, but also because they provide a strong incentive for corporations to protect the publics’ health. Mesothelioma lawsuits helped bring the attention of the public to the hazards of asbestos exposure. Mesothelioma lawsuits are a major reason that asbestos is rarely used in the US and is banned in many countries. If someone you care about has passed away from mesothelioma, feel free to reach out to Kazan Law with any questions you may have about wrongful death lawsuits.